BLOOMINGTON, Ind. -- The Hutton Honors College at Indiana University Bloomington will host a conversation with R. David Edelman, former White House technology adviser to the Obama Administration and director of MIT’s Project on Technology, Economy and National Security, as part of its “Many Worlds, One Globe” multiyear series. The event will take place on Monday, January 29 from 4-5:30 p.m. at the Indiana Memorial Union Solarium. The event is free and open to the public. During his time at the White House, Edelman developed and co-authored more than a dozen legislative proposals, national strategies, executive orders and presidential reports. As an advisor to President Obama, he designed and managed more than $15 billion of signature programs focused on technology, education and economic opportunity. 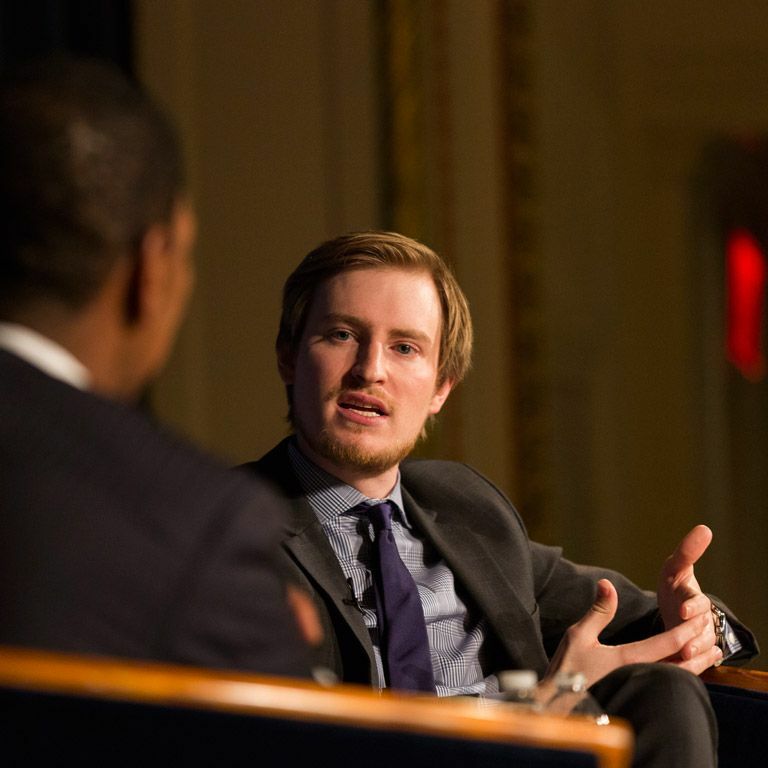 Edelman was the youngest-ever director appointed to the National Security Council, and he was named one of Forbes’ “30 Under 30” leaders in law and policy. He was also awarded the State Department’s Superior Honor Award for his work on intelligence matters and was twice the recipient of the Meritorious Honor Award for his United Nations negotiations and development of the nation’s cyber diplomacy strategy. At MIT, Edelman leads a team of researchers, students and policymakers to address the challenges of technological disruption, including cyberattacks and the regulatory and economic impact of artificial intelligence and autonomous vehicles. The Many Worlds, One Globe series combines research and extracurricular activities with support for pedagogical initiatives focused on multiculturalism and globalization. This initiative is part of the Hutton Honors College’s 50th Anniversary and the IU Bicentennial Celebration. About Hutton Honors College: The Hutton Honors College strives to ensure an enriched academic and social experience for our students and create an environment that fosters active, innovative learning, as well as students’ engagement in planning and organizing events. These opportunities, which include a close working relationship with some of IU's top faculty, affirm our commitment to providing our students with both the intimacy of a small college and the breadth of a large, pluralistic, and distinguished research institution.